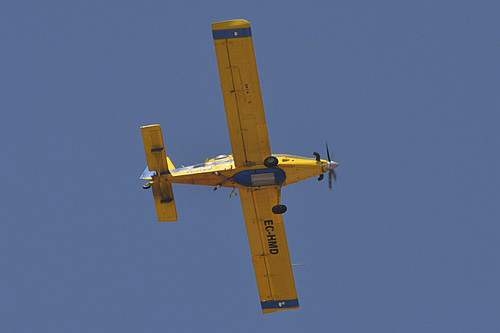 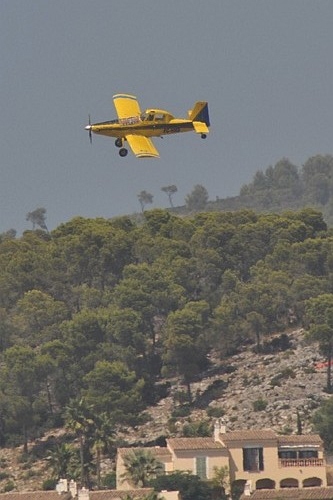 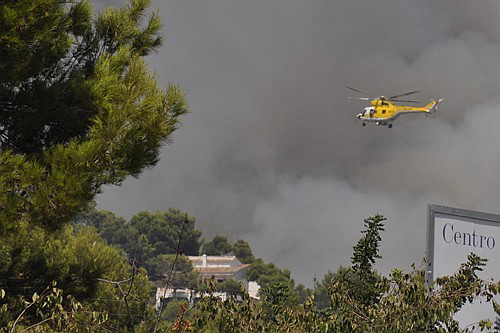 During last summer holidays I withnessed an impressive Canadair water bomber action on a criminal fire happened on August, 25 2011 in the area of Palma de Majorque. 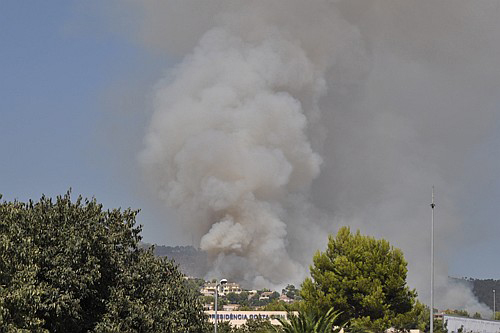 During a visit to the Marineland attraction park we saw the first smoke in the closed mountain. 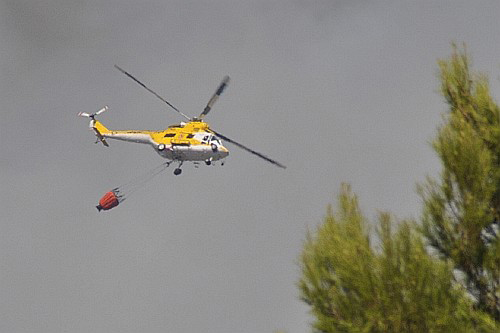 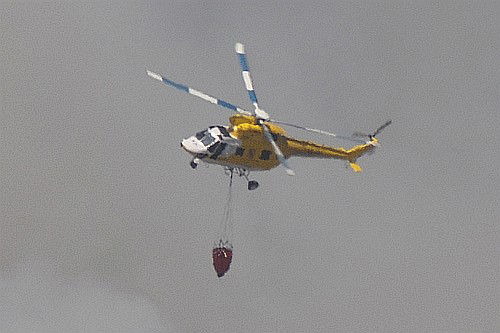 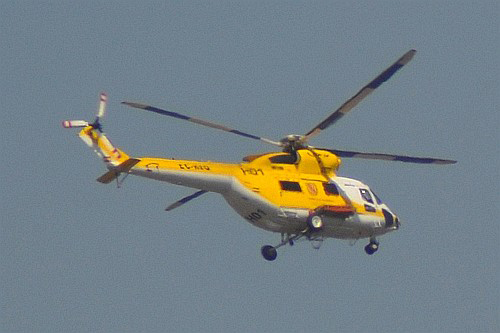 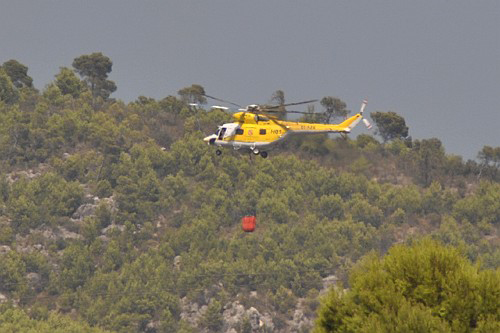 A first helicopter, a PZL W-3AM (EC-HSQ) from the Govern de les illes Balears arrived on site to probably drop some fire brigade men and then to take a water baby bucket to begin to fight against the fire. 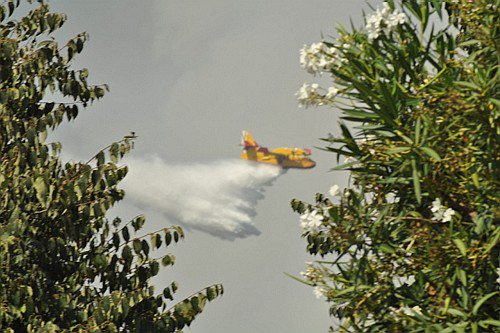 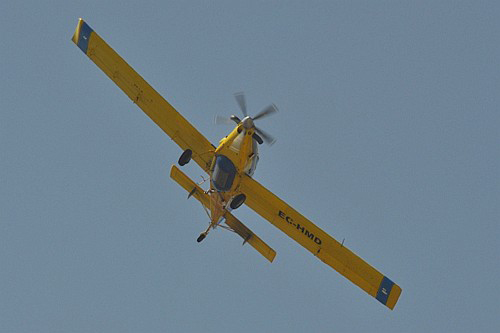 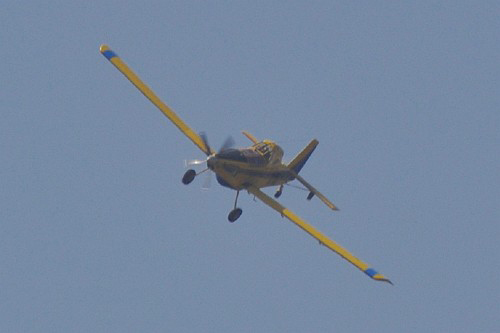 Few minutes later two Martinez Ridao Air Tractor AT-802 (EC-HMD and EC-GVN) also owned by the local and independent governemant have drop some chemical product to delay the fire expansion. 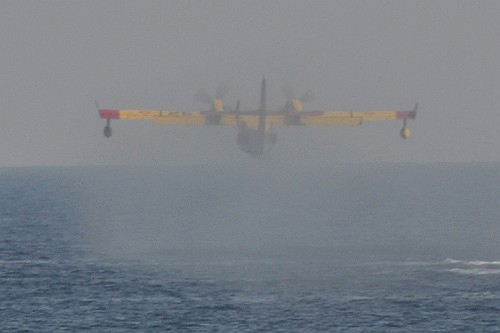 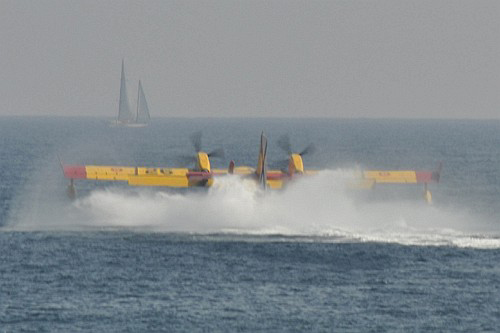 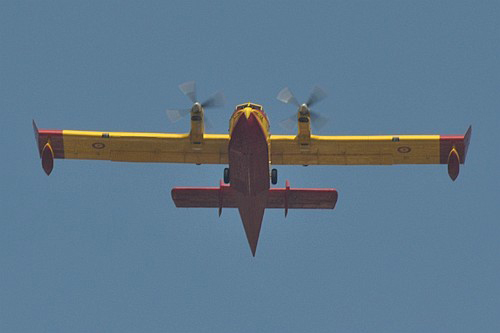 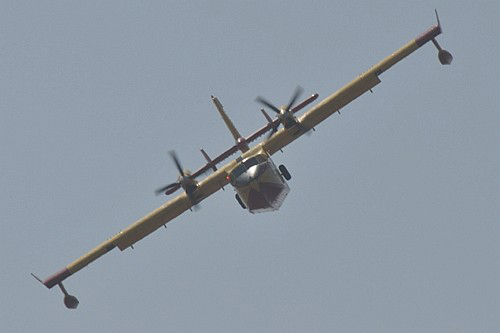 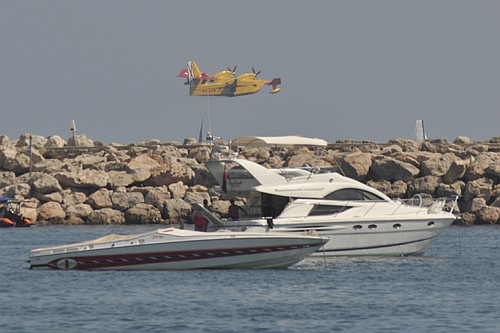 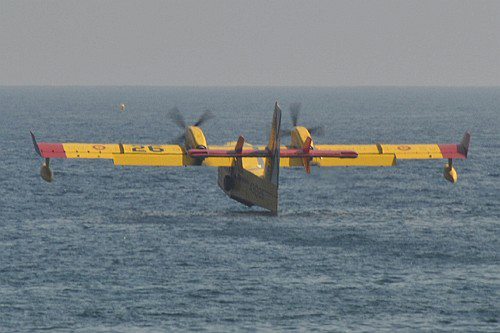 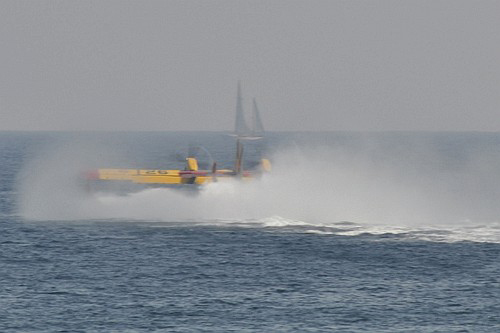 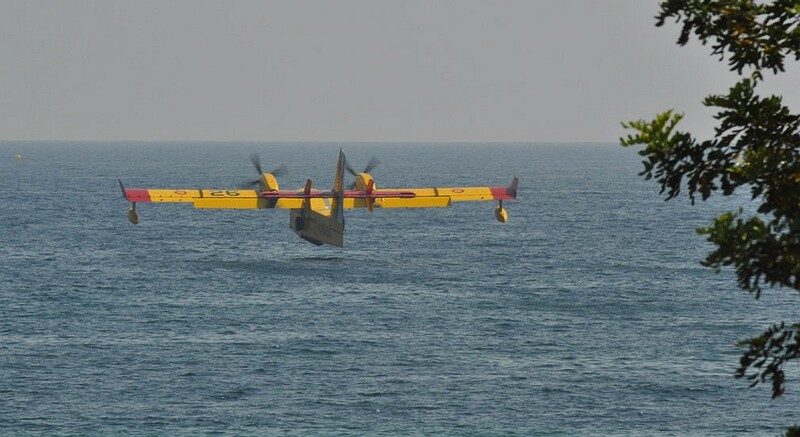 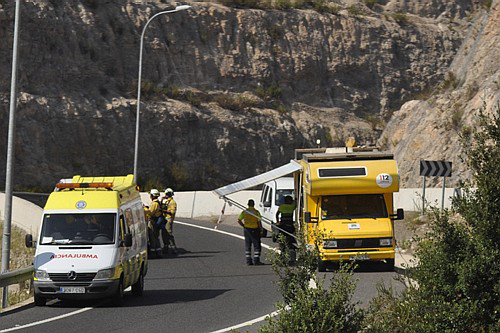 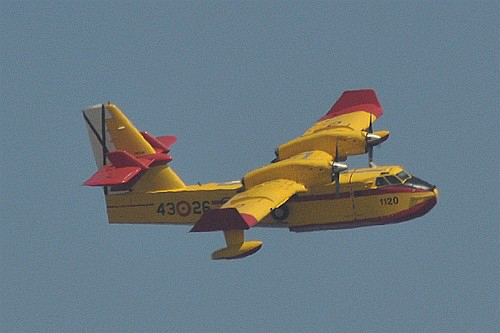 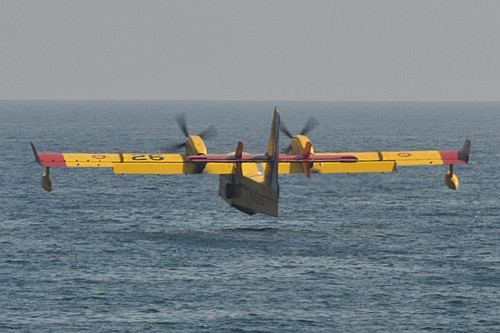 As it was not sufficient, the Spanish Air Force Canadair CL-215T (43-26) deployed in the Balears during the summer period has come to action, taking the water just in front of the attraction park. 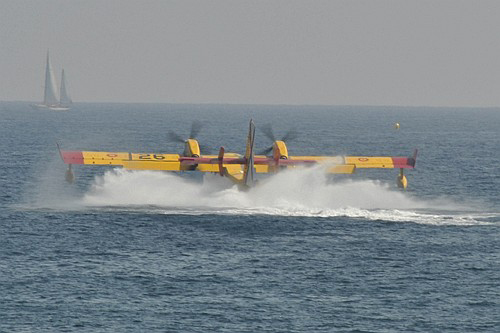 It is interesting to note that the Spanish Canadair fleet (14 CL-215T and 3 CL-415) are under control of the Ejército del Aire. 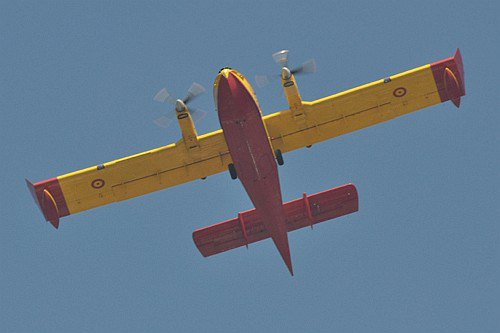 Usualy the Canadair fleet is based at Madrid-Torrejon under the 43 grupo, including the 431 squadron and the 432 squadron. 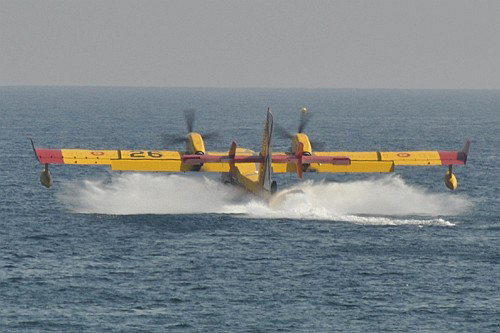 Five other airplane of this kind (former Spanish Air Force CL-215 upgraded in T version) of this kind are handled by the Ministry of Environment (CEGISA). 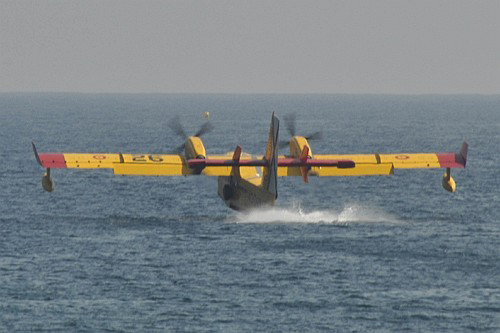 The opportunity was great to saw two water reload procedures and this was very impressive as it just take 20 sec to reload the plane with around 5400 liters of water. 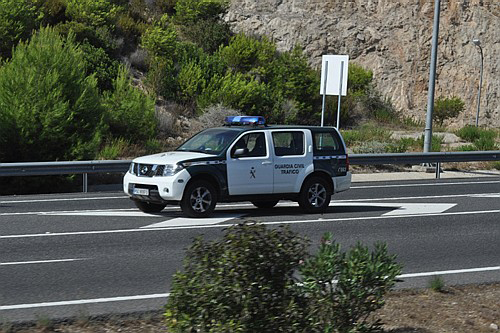 Few moments later we passed with the bus near the fire very closed from the motorway and we saw the damages caused by this criminal, stupid and thoughtless act. 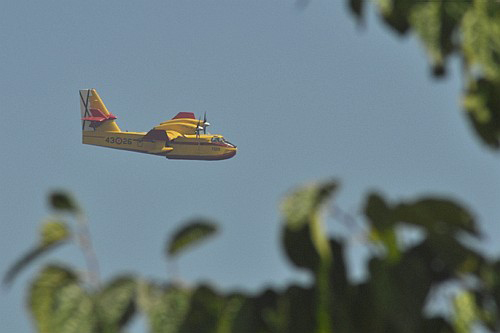 8 pictures...20 seconds...5400 liters of water ! 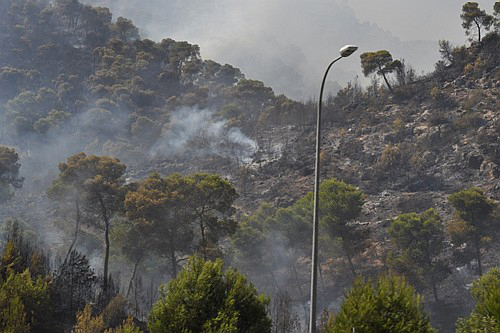 The firebrigade after the intervention... ...and the result of this criminal fire !